If you do not clean them properly, minor cuts and scrapes can result in a trip to the hospital. It is important to know how to clean a skin wound as soon as possible. This can help prevent infection, lessen any irritation and speed up the recovery process. Whenever you can, you should clean your own wound because you are the best judge of your pain threshold. Wash your hands. Put on disposable medical gloves if you have them. Skin wounds usually stop bleeding on their own, but if bleeding continues past a minute, apply gentle pressure to the wound with a sterile cloth or bandage and elevate it. Use a large amount of clean water to rinse off the wound. Clean around the wound with a cloth wet with water and soap, being careful not to get any soap inside it. If dirt or debris remains in the wound after washing, use tweezers sterilized with rubbing alcohol to extract those remains. 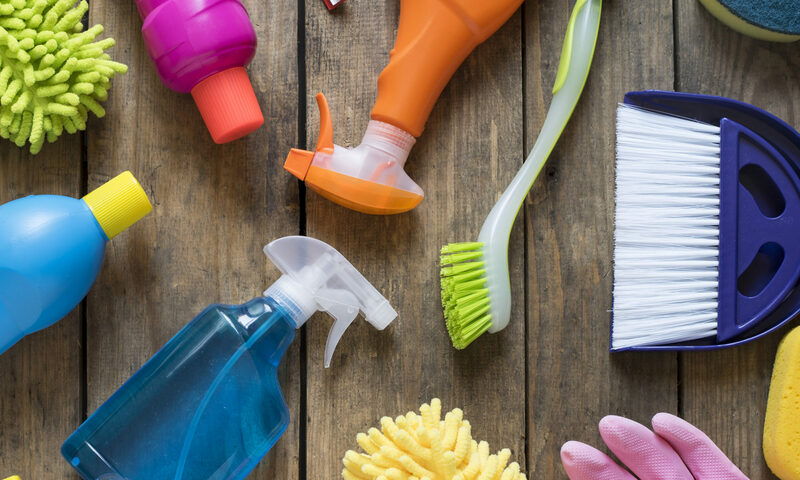 Avoid the use of hydrogen peroxide, iodine or an iodine-containing cleanser, which can be irritating to tissue already injured. As mentioned earlier, see a doctor if there is any debris you cannot remove. Do not poke tweezers deep into a wound (beyond the first layer of skin)! Apply a thin layer of an antibiotic cream, such as Polysporin, to a newly clean skin wound to prevent dryness. Although creams and ointments do not make a skin wound heal faster, it reduces the risk of infection. Cover the skin wound with a bandage, unless the injury is just a minor surface scratch. In that case, it is best to leave it uncovered and let it air out. If you decide to use one, change the bandage at least once a day. Even after establishing daily cleaning of a skin wound, you should check for signs of infection. These include lack of evident healing, redness, warmth, and swelling. 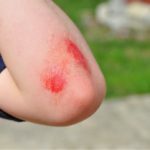 If you clean a skin wound regularly, you should not have to see a doctor about it, but you must remember it is always a possibility when you are injured. I really how you give details from start to finish. Growing up we only used alcohol, and boy did it burn! If only my mother read something like this in the past! Good article. I agree that if the wound is not deep, then it can be handled yourself. But it is important to remember if the wound is deep or its length exceeds 2 cm, is located on the face or in another open place, it is better to go to the emergency department, since in this case, you may have to put seams. For treatment of the wound, it is first of all necessary to clean the wound from dirt, then rinse it with warm water with soap, using a cotton swab. It is even better to use for this purpose a 3% solution of hydrogen peroxide, which will help stop the blood. You can bandage the wound with a sterile bandage. In cases where the dressing is impregnated with blood, do not remove it, and on top, apply another bandage. A very small wound will heal better if you leave it outdoors, so do not use a bandage or wear a plaster for a long time!